Clarisonic Challenge Week 5: Back on Track? The pimples are gone, and I have to say my redness has gone way down. Of course it changes at different times in the day, but on the whole I think the improvement is real. I’m not a very good scientist, because I keep throwing in new variables. But I can definitely attribute the smoothness and quick absorption of moisturizers to the Clarisonic’s magical exfoliating ways. Clarisonic Challenge Week 4: The Purge Returns? Ok the title is a little misleading. I probably shouldn’t be calling it “the purge” every time I get a pimple now that I’m living in CE (the Clarisonic Era, duh). But, I can’t help but be a little disappointed when my skin appears to be backsliding. That said, I know pimples are caused by many factors (stress, environment, cereal and beer for dinner). And it’s only a couple pimples. I don’t usually spend too much mental effort worrying about my skin. I just think this ongoing review is forcing me to be a little more critical, dear reader(s). The biggest luxury in beauty is beautiful skin. In my (limited and anecdotal) experience, that’s where rich people spend their money. If you have perfect skin, you don’t need foundation. And if you don’t need foundation, then makeup turns into a much quicker, more fun experience. I’m not a big foundation person, although I’ve been learning to use it. But in the ideal world we’d all wake up with glowing, even skin, throw on mascara and lipstick and breeze out the door. 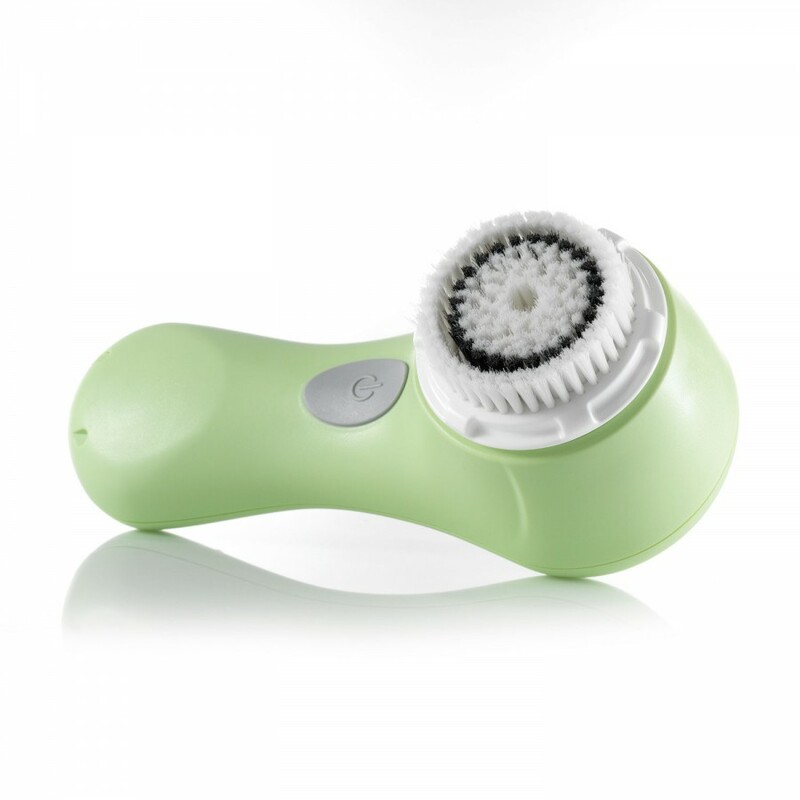 In pursuit of that ideal, I decided to purchase the Clarisonic Mia. I first heard about this two years ago and was very skeptical. The spinning brush has more than 300 movements per second. Did you need that much exfoliation? Wouldn’t it cause broken capillaries? But then I bought a Clarisonic toothbrush. Your first time with a Clarisonic is a strange one. It buzzes so intensely you need to keep your lips tightly closed to stop from spraying your mirror. I realized this was a next-level technology.